Koi Fish Keeping - Free Affiliate Program. You Are About To Make 70% Commission per Sale With Clickbank's Best Converting Koi Fish Site! Welcome to the affiliate page for Starting The Koi Hobby. 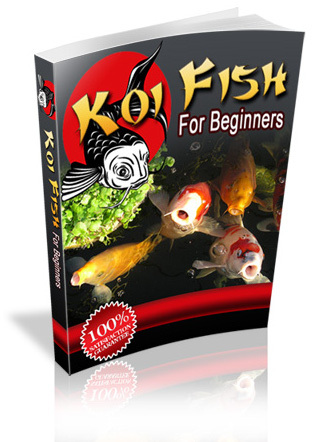 My name is Adam Short and I have produced a great resource for anyone considering Koi Fish. This product is blowing our competitors out of the water. With the help of great sales copy the site is converting at 2.4% on targeted traffic. And we are constantly tweaking our offer to further improve the conversions. Koi Fish is a hot buyers niche... almost as good as the golf market! The big advantage, is that this Koi fish market is largely untapped.... This creates a huge opportunity for any motivated affiliate. Low pay per click costs with bigger affiliate commissions make it very attractive to promote. Koi owners are passionate and spend a lot of money on their hobby! Have you seen what it costs to set up a Koi fish pond correctly? They can be thousands of dollars! Then you have the added cost of water temperature regulation, filtration, aeration and more... It can be an expensive hobby! Go into your local pet shop and have a look at the prices of the equipment... You will be amazed! So, to avoid all the common Koi fish mistakes and potentially wasting a huge amount of money, time and energy... It makes investing in "Starting The Koi Hobby" an absolute no-brainer for anyone considering this hobby. The manual is a complete step by step guide from choosing Koi, right through to having the perfect Koi pond and everything in between. We've made the manual exceptional value for money and are constantly testing various upsells to further boost your commissions. A sales page conversion rate of 2.4% with targeted traffic. This is so much better than the usual 0.5% to 1% average conversion on Clickbank. And we are constantly testing and tweaking the sales page to improve the conversion rate even more. A super low refund rate. The manual is crammed full of high quality information, which will save any Koi owner a huge amount of money, time and energy. This makes our buyers very happy. Upsells and downsells to fully maximise the traffic you send. We are constantly testing new upsells and downsells which will result in bigger commissions for you. We value our affiliates highly! We know that you want the best resources. So, as the new resources are released we will let you know... So you can use them immediately. Want to grab your affiliate link? Just register your details below and we'll give you instant access to the "Starting The Koi Hobby" affiliate resources. If you have any questions please contact me by clicking here. I look forward to working with you... My goal is to create large commissions for you by promoting this product to the passionate Koi Fish market.